The inception of the Chinese Super League (CSL) dates back to 2004. However, it has only been recently that the league in the East has garnered the attention of the entire globe for its propensity to offer extraordinary salaries to its biggest stars. In the past few years, several footballers have made the switch to China in order to pocket a handsome salary with Oscar, Hulk, and Ezequiel Lavezzi being prime examples. More recently, the likes of Moussa Dembele and Marouane Fellaini have followed suit and the Belgian pair is now set to turn out in a far less competitive league. Thus, with Fellaini’s arrival, it is warranted that we take a look at the huge salaries some of the players in the CSL. Through this article, we would do exactly that and prepare a list of the five highest earners and also see if Fellaini makes the top-five. Trivia: Axel Witsel too would’ve made our list had he not sealed a move to Dortmund in the summer. He was reportedly earning £300,000 a week. After more than five years at the Theatre of Dreams, the Belgian decided to pursue a new challenge in the East. 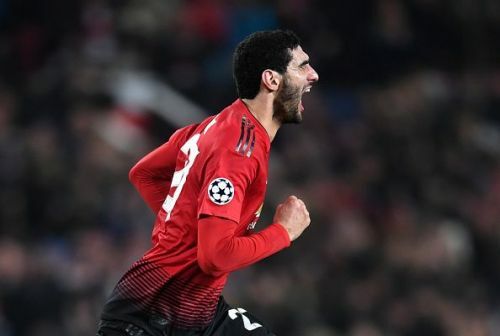 Manchester United has confirmed that Marouane Fellaini has left the club on a permanent transfer. 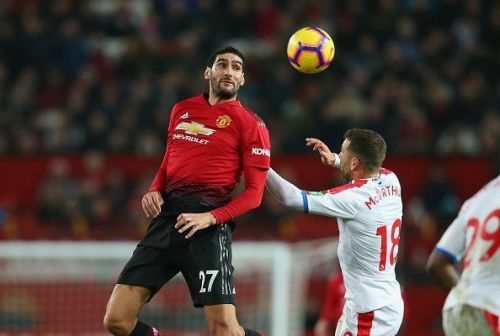 Fellaini is expected to sign for Shandong Luneng in the CSL and he is reportedly going to take home a sweet £235,000 per week. Over the years, numerous footballers have been paid astounding sums in the CSL in a bid to attract better players and lay the foundation for a Chinese Revolution in football. Though they’ve succeeded on the former front, they haven’t yet reaped the rewards in the latter aspect. It is still too early to hope that China would catapult itself among Asia’s superpowers. However, that surely isn’t going to stop the clubs in the CSL from going all out in the market to fetch the best possible players. The astonishing part though is that Fellaini only ranks at No.5 despite Shandong parting with £235,000 a week for their star Belgian.